Possible thyroid tumors, including cancer. Tell your health care professional if you get a lump or swelling in your neck, hoarseness, trouble swallowing, or shortness of breath. These may be symptoms of thyroid cancer. In studies with rats and mice, Saxenda® and medicines that work like Saxenda® caused thyroid tumors, including thyroid cancer. It is not known if Saxenda® will cause thyroid tumors or a type of thyroid cancer called medullary thyroid carcinoma (MTC) in people. Do not use Saxenda® if you or any of your family have ever had MTC, or if you have an endocrine system condition called Multiple Endocrine Neoplasia syndrome type 2 (MEN 2). See below for full Important Safety Information as well as Limitations of Use. Check the box if you would like to save your username and password for SaxendaCare®. You shouldn’t save your personal sign-in information on public computers/devices or on computers/devices that are shared with other people. For chronic weight management in adult patients with a body mass index (BMI) ≥30, or ≥27 with 1 or more weight-related comorbidities as an adjunct to a reduced-calorie diet and increased physical activity. Click for full indication and usage. Created to work along with Saxenda®, SaxendaCare® is more than just tips—it uses scientifically proven weight-loss and maintenance strategies. SaxendaCare® will support you with exclusive access to personalized web pages, emails, calls from your coach and more. Our coaches are registered dietitians certified in weight management and will work with you one-on-one to help you get off to a good start taking Saxenda® and find ways to introduce changes to your lifestyle at a pace that works for you. Do not use Saxenda if you or any of your family have ever had MTC, or if you have an endocrine system condition called Multiple Endocrine Neoplasia syndrome type 2 (MEN 2). Tell your health care provider about all the medicines you take, including prescription and over-the-counter medicines, vitamins, and herbal supplements. Saxenda® slows stomach emptying and can affect medicines that need to pass through the stomach quickly. 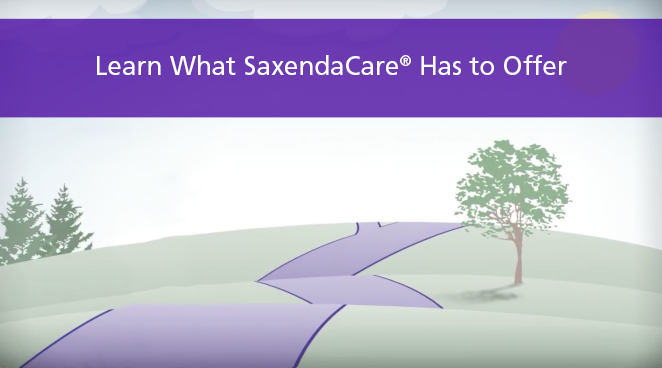 Saxenda® may affect the way some medicines work and some other medicines may affect the way Saxenda® works. Tell your health care provider if you take diabetes sulfonylurea medicines or insulin. Please click here for Prescribing Information, including boxed warning, and Medication Guide for Saxenda®. Novo Nordisk Inc., 800 Scudders Mill Road, Plainsboro, New Jersey 08536.